In collegiate basketball, exhibition games are meant to be a barometer for a team’s potential. With a clear disparity in skill level between teams, they allow coaches to flirt with different lineups while remaining certain that they’ll emerge victorious. 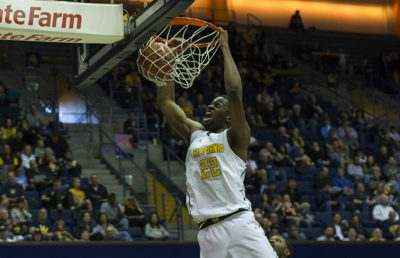 The Cal men’s basketball team’s exhibition game against Providence on Monday night, where the Bears demolished the Argos 81-52, was a preview that shed light on some very important aspects of Cal’s plan with an almost entirely new roster. The start of the first half proved a bit shaky for this new Bears squad. Cal didn’t start to pull away until about the eighth minute, and the team actually trailed by three points twice during the first five minutes of the game. Once the Bears caught their stride, though, they took off running, finishing the half with a dominant 44-24 lead over Providence. Lesson No. 1: freshman forward Grant Anticevich is going to be good. In just three minutes of play in the first half, Anticevich went 3-3, scoring six points and snagging one rebound along the way. He looks calm and collected, and his time on the floor proved that he has a high basketball IQ and a soft touch on the ball that allows him to finish down low. Lesson No. 2: seniors Marcus Lee and Kingsley Okoroh have the potential to be a killer duo if they can get on the same page in the paint. In the first 20 minutes, Lee tallied a massive 10 rebounds, and Okoroh added five blocks, forming a force that should be able to do a good job of defending the rim. They still have room to improve on offense, where at times it seemed that they were competing for the same chances. If they can play off of each other and occupy defenders simultaneously, then they’ll both find more success offensively. That being said, though, they carried Cal offensively — together scoring 31 points in Cal’s win. Lesson No. 3: if the Bears’ zone stays disciplined, it could get the job done. But if it doesn’t, it could end up being Cal’s Achilles’ heel. When the Bears moved cohesively against the Argos, they came up with defensive stops and forced turnovers that were vital in the transition game (Cal tallied 18 fast break points in total). Conversely, there were multiple occasions when the weak side defender was caught watching and a Providence defender was able to sneak in for a pocket pass. The Bears also debuted a new press, which only slowed the Argos down marginally but did little in the way of forcing turnovers or generating steals. The Bears’ defensive rotation on the press is going to have to be a lot quicker if they want it to be effective against faster opponents. Cal had no trouble finishing off Providence in the second half, maintaining and extending a lead that would result in a resounding victory. Junior guard Don Coleman had a massive offensive showing throughout the entirety of the game, finishing at the rim off of both fast breaks and stagnant offensive outings for 20 total points. 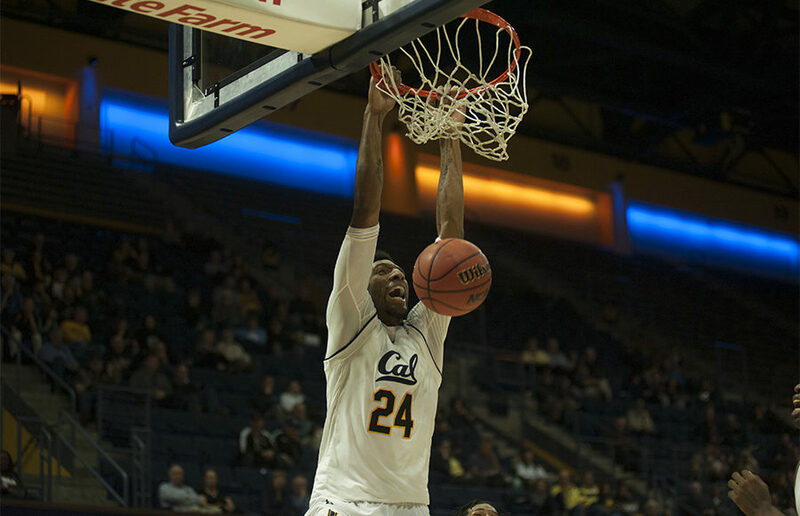 Okoroh, too, was a driving force for Cal — tallying a triple-double with 10 rebounds, 10 blocks and 14 points. In their first game of the season, though, the Bears were missing freshman forward Justice Sueing, who will likely be an integral part of Cal’s lineup this season. With his addition back into the lineup, the Bears should have more of an outside scoring game — something that appeared a bit lackluster against the Argos. If exhibition games are about showing a team’s potential, the Bears’ one against the Argos certainly did. Cal, if it uses them effectively, has the pieces to make this season an interesting one — and as the season truly begins it will be interesting to see if they’re able to do so.